A doctor holds a baby in the maternity center in Za’atari refugee camp, Jordan. Children outside an Oxfam facility in the Za’atari camp, where we are campaigning for a permanent water and sewage systems. 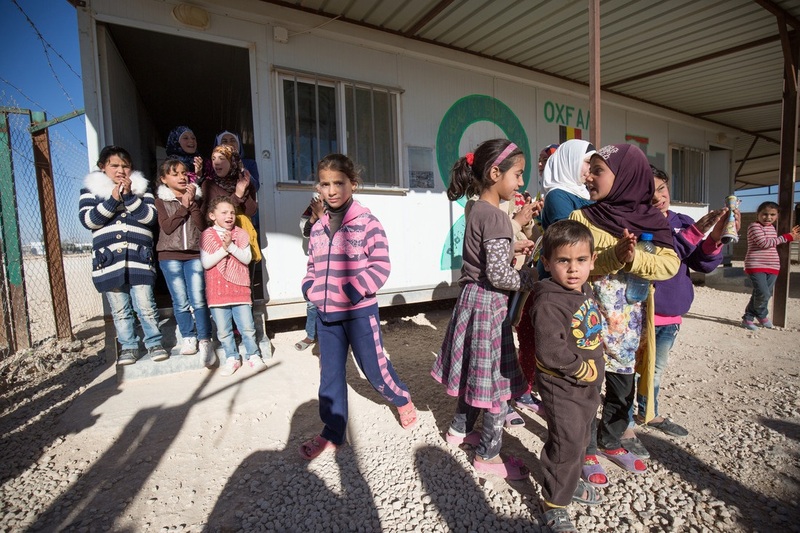 Oxfam currently works in 3 of Za’atari’s 12 districts, supervising, water and sanitation, refuse management and the cleaning and maintenance of wash blocks. We also co-ordinate hygiene promotion activities which are crucial in preventing the spread of disease. Oxfam is working with UNICEF and other international actors, to install a water network in the camp which will ensure refugees have safe access to water. When our water network has been completed it will be the largest ever to be constructed in a refugee camp. 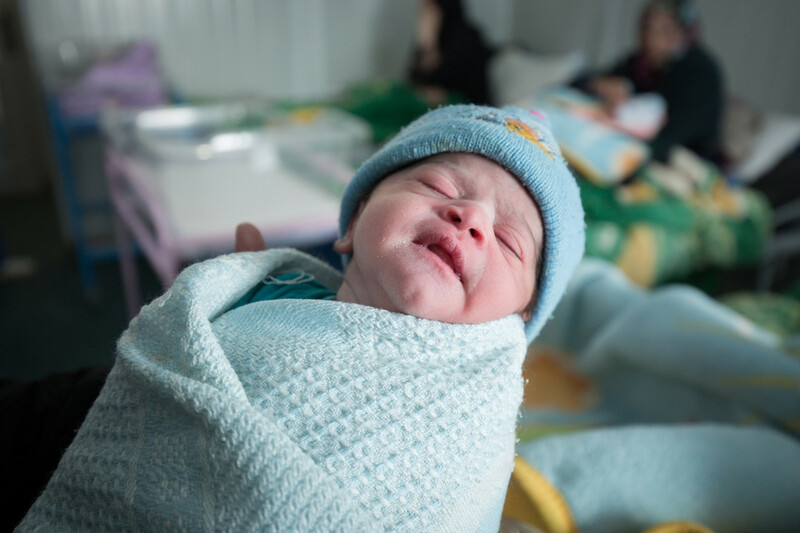 Baby Sham is just a few hours old, and the youngest resident of Za’atari camp when this photo was taken. In some ways life carries on as normal in the camp, babies are born and some children are able go to school. 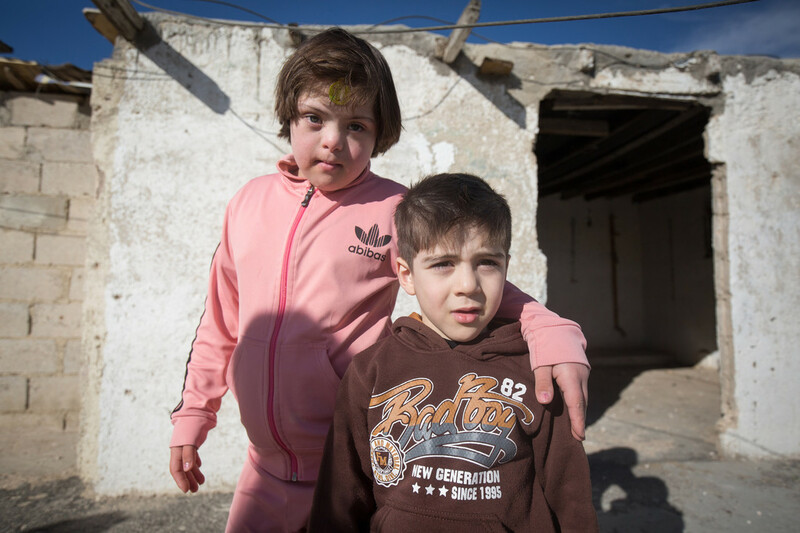 Syria, ten, and Hassan, four, walked for almost 12 hours to cross the border from Syria to Jordan. They now live in Za’atari refugee camp with their mother. As the camp transitions into a semi-permanent city refugees are struggling to find work and create a livelihood for themselves and their families. Many refugees are surviving on meager humanitarian aid or working illegally. 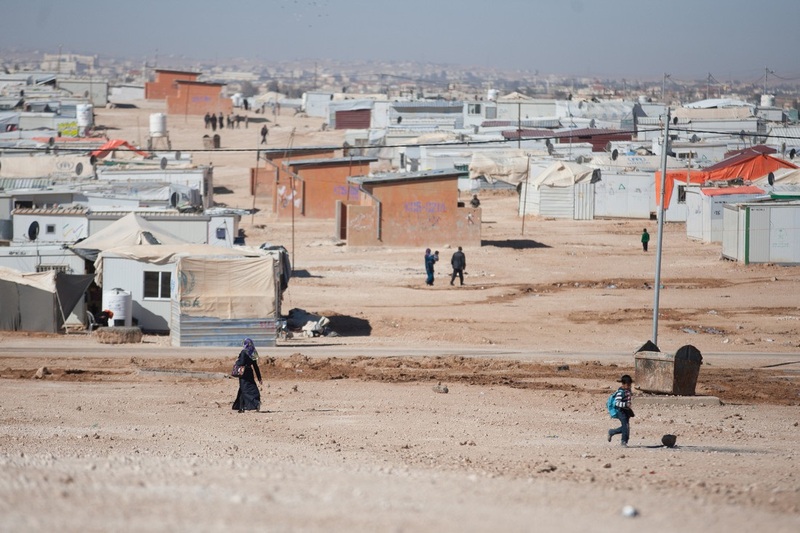 A view of Za’atari camp stretching towards the horizon. As a host country Jordan is estimated to spend $870 million a year supporting Syrian refugees; if it were treated as a traditional donor, Jordan would have contributed 5,622% of its fair share. Jamal Ashamed with one of his birds. Jamal and his seven children fled Syria three years ago. 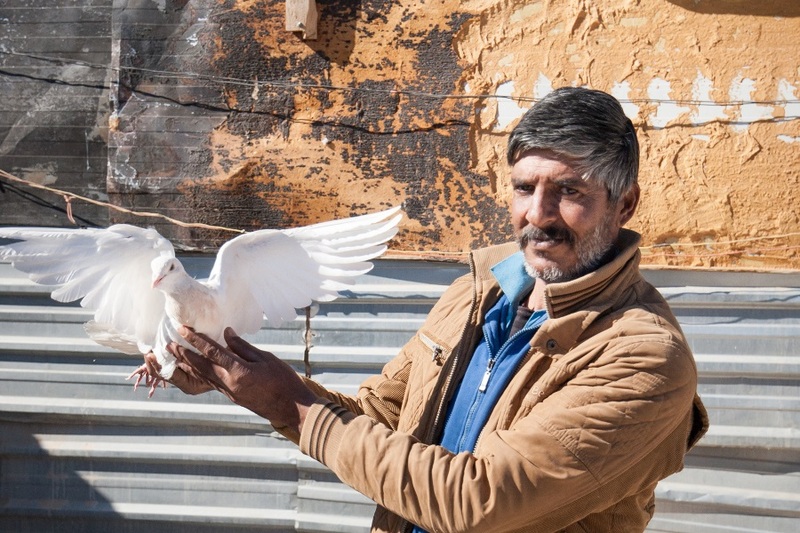 He left everything behind but has managed to reclaim part of his identity, his passion for training pigeons. Jamal spent some time volunteering with Oxfam, before he was offered the opportunity to work with us as a water distributor. We are calling for urgent and immediate action by the international community to deal with this deepening crisis: to fully fund the aid response, to offer refuge to those who have fled the country including through resettlement of a fair share of the refugee population, to halt the transfer of arms and ammunition and to revive concerted efforts towards a resolution of the crisis. Right now desperate to escape the brutal conflict in Syria, hundreds of thousands of families have been forced to flee to neighboring countries and further afield. Watch Bill Nighy explain what we are doing to help and what your support can do to help reach even more people.